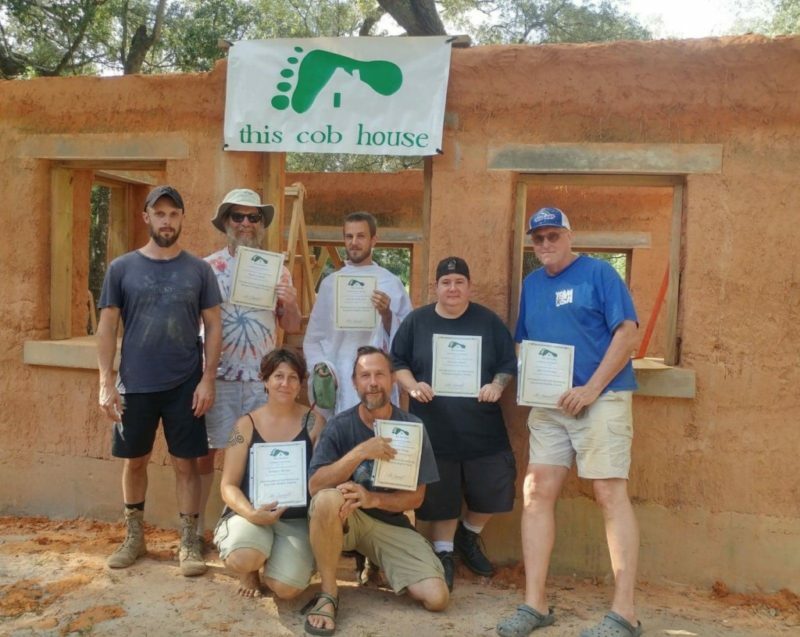 Learn all major aspects of building your own passive solar home with cob. We will be working on a small cob cottage, covering siting, design, foundations, wall building, windows and doors, roofing, basic earthen floors, and basic earthen plaster. 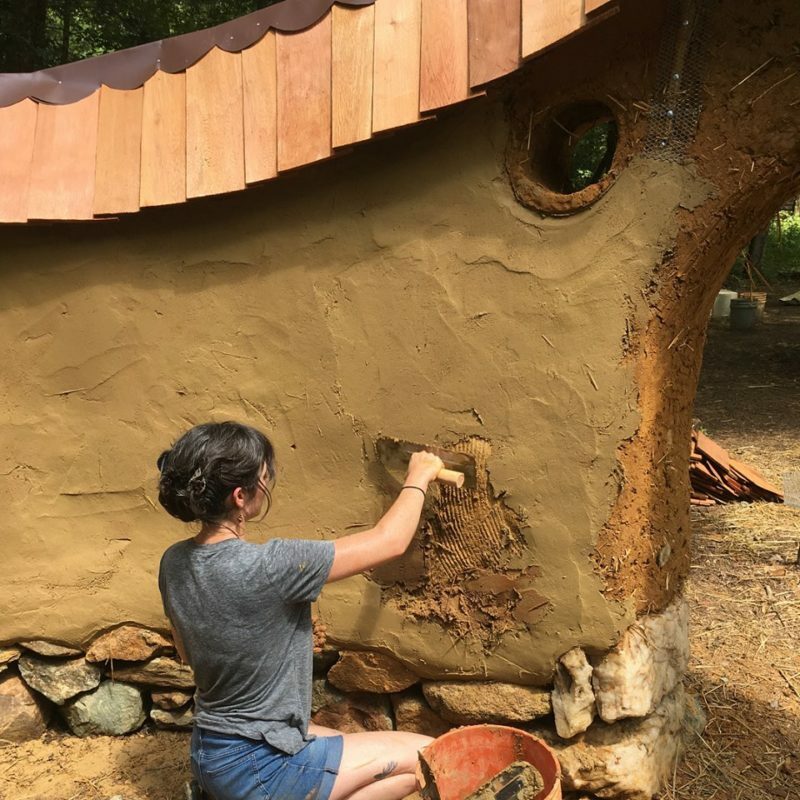 Learn how to make and use quality cob with a variety of clay soils, and the judgment needed to successfully build on your own site with your own local materials. Leave this course ready to build! 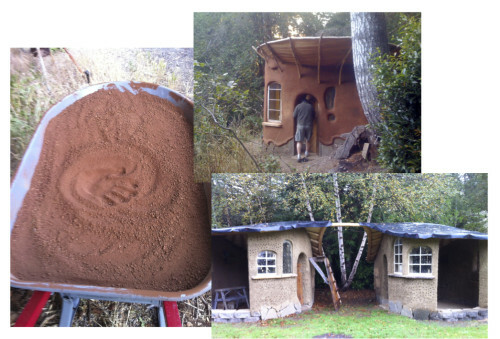 Contribute to creating a cob home on a permanent site devoted to permaculture and healing arts education. Golden Rocks Permaculture Farm California, near Middletown/Clear Lake (only 20 minutes from Harbin Hot Springs). Price is $940 including 3 meals a day beginning with dinner April 25 and ending with lunch May 4. Accommodations are camping on site. 10% discount for family and friends coming together; and 50% for people 6 to 15 years old. Why Cob? Why natural building? 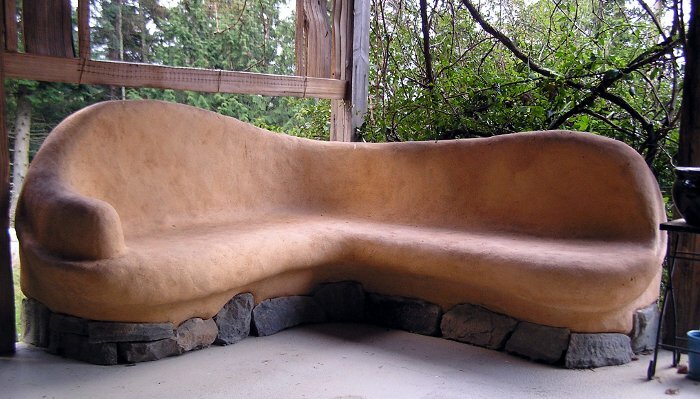 Once upon a time, human shelter was hand-made individual expression, communally realized. It was in relation to the life around it, human and other, and to the natural features and forces of place, often including traditional culture. For us, natural building is the process and practice of sheltering oneself, of foraging for and harvesting materials, of fitting the shelter to the self so that it is snug to the life of its maker. It’s the inhabitant as builder, architect, and sculptor joined as if such endeavors were never separate. At its best, natural building can be a cure to the common modern experiences of anxiety, restlessness, compulsive consumerism, chronic dissatisfaction, and alienation. Come dance in the mud and find out for yourself!